St. Valentine’s Day is approaching quickly, but just in time for us to forget about the subzero temperatures and embrace a night of warm festivities to commemorate the day. Toronto may look like a winter wonderland now, but on February 14th the city aims to warm you and your hearts with an array of exciting and memorable activities to share with your significant other. Here are some of our favourites that are sure to impress your date with an entertaining evening. Toronto’s Ripley’s Aquarium is known for being a beautiful date idea lending you spectacular backdrops and engaging surroundings, but things are about to get much more exciting. On February 14th, Ripley’s Aquarium hosts their annual St. Valentine’s Day event, inviting couples to experience an intimate 3-course dinner in one of their immersive galleries. What’s best is you won’t have to travel too far for your evening of romance. The Ripley’s Aquarium sits just across the street from fully-furnished Mary-am Suites at 300 Front Street making it easy to plan the perfect date. Those with a sense of adventure can take in Toronto’s stunning landscape from above with an intimate and private tour of the city by helicopter. The tour starts at Billy Bishop Airport, just two steps away from Mary-am’s Maple Leaf Square suites, where it will be easy to return and relax after your romantic adventure in the sky. Heli-Tours offers breathtaking views of Toronto’s landmarks and skyline for just you and your special someone with a photo souvenir so you can remember your remarkable moments from above. Choose from a 15km or 35 km tour, with the option of a special sunset tour accompanied by a gift basket of celebratory wine and chocolate. 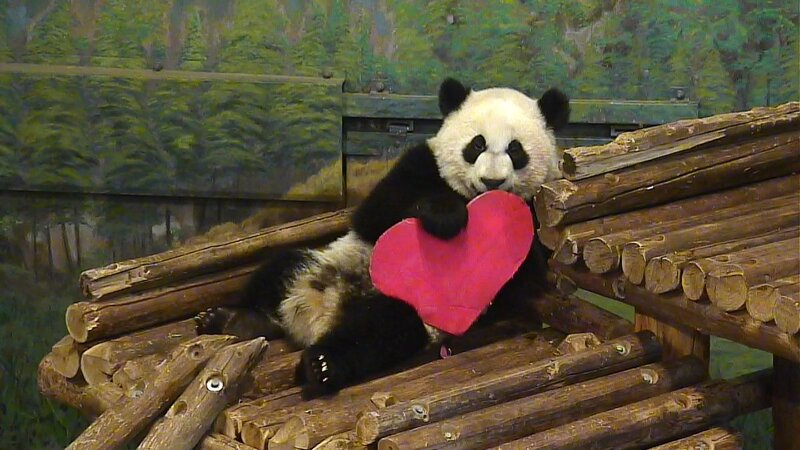 If you’re after a Valentine’s Day date that’s a little more ‘wild’, the Toronto Zoo is the perfect place to celebrate. With an easy commute from Mary-am’s furnished rentals at Circa in Markham, it will be easy to indulge in a specially prepared Valentine’s Day buffet but not without a unique encounter with on-site animals beforehand. After sinking your teeth into fresh Atlantic salmon and decadent chocolate mousse, guests will be treated to interactive presentations and displays to complete the captivating experience. When it’s all said and done, Circa is located next to Toronto’s major highways and transit systems so you can return to your suite easily whenever you’re ready. Transport your date into a world of mystery and wonder at the Mysteriously Yours Mystery Dinner Theatre. Delve into the story of the interactive Murder on the Disorient Express where you’ll be thrown into the action to help Detective Perrier solve the mystery of an untimely murder on the famed train. After a mouth-watering 3-course dinner by chef Marta Kusel, participate as much or as little as you like to help colourful characters tell the intriguing tale. After solving the case it will be an easy ten-minute walk back to your furnished rental at Republic Suites, where you can re-energize after all the excitement. While a traditional romantic Valentine’s Day dinner might sound cliche, taking your night to a luxurious and historical level will be sure to make the occasion momentous and unforgettable. Settle in next to the fireplace at North Toronto’s Auberge du Pommier and sink your teeth into luxe ingredients like black cod and veal tenderloin from the innovative and modern French menu of Chef Malcolm Campbell. You’ll be able to enjoy an upscale evening without worry with Mary-am furnished suites at the Hullmark Centre just a 10-minute stroll away. With a location next to major highways and a direct access to the Yonge-Sheppard subway line your date will be elegant, yet convenient. You can bet on Toronto to warm up your holiday with so much to do in and around the city, and with Mary-Am locations scattered all throughout town, you can have an extraordinary and relaxing St. Valentine’s Day staying at any Mary-am Suites locations.